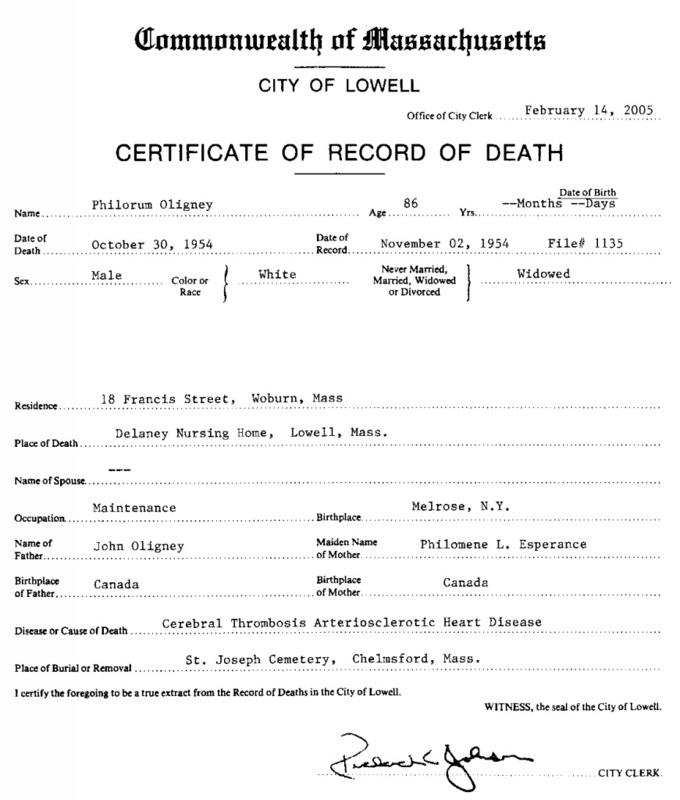 This is an interesting death certificate. I say that because it has conflicting information with what I have. The dates are correct, and he was widowed by this time. It is his parents, however, that causes one to pause. These are not the parents that I have on record. My thoughts are that these are Anglicized versions of his parents. I have a photocopy from the parish register where Philorum got married and it lists his parents there. They are not these names. Weird things seem to happen to names when French-Canadians come to America. I went to the cemetery where Philorum is buried. 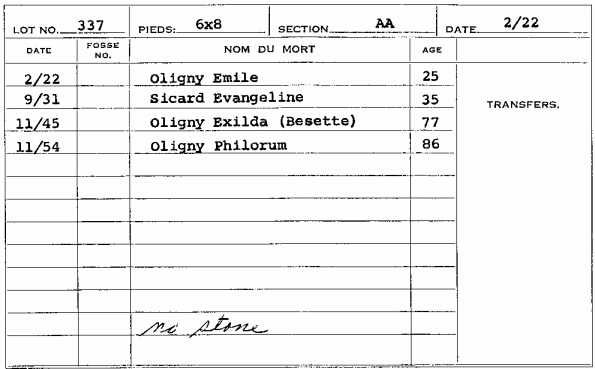 There is no stone, but here’s the record from the cemetery’s registry. Note all the people buried there.